The Digital Research Library of Illinois History Journal™: Chicago Streetcar № 1137, Lost and Found. 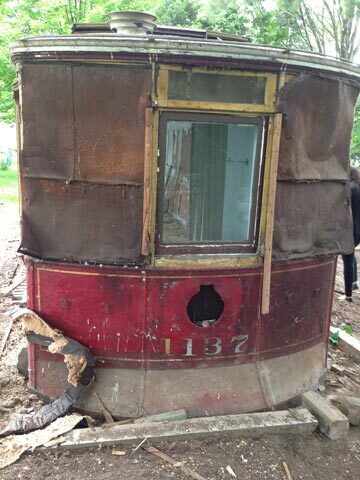 Chicago Streetcar № 1137, Lost and Found. The full length of Chicago Surface Lines streetcar, № 1137, can be seen. The rear of the car is in the foreground. 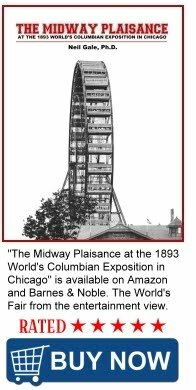 Built in 1903 thru 1906 by the St. Louis Car Company for the Chicago Union Traction Co.. Car № 1137 was then purchased and operated by Chicago Surface Lines (CSL) – the predecessor to the Chicago Transit Authority (CTA). The full length of Chicago Surface Lines streetcar, № 1137, can be seen. The rear of the car is in the foreground. Car № 1137 was disposed of by Chicago Surface Lines in April 1946. 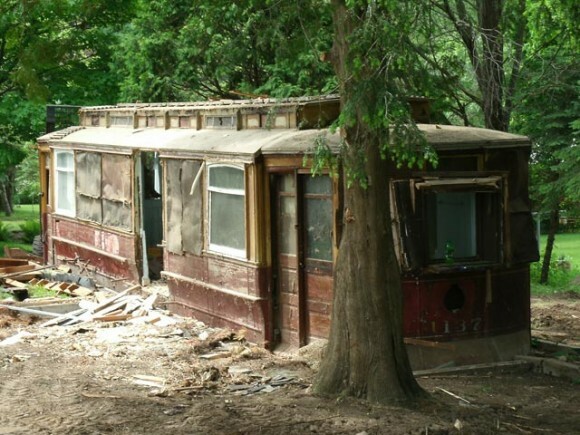 There was a housing shortage at the time, and people were actually living in old streetcars. Some were bought by GI's, returning from World War II. All the undergear would have been removed for salvage as scrap. 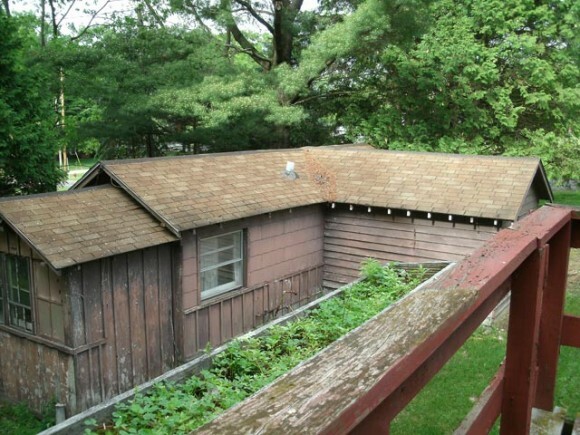 It was found at a residence in Weyauwega, which is located in the middle of Wisconsin, sided with wood. 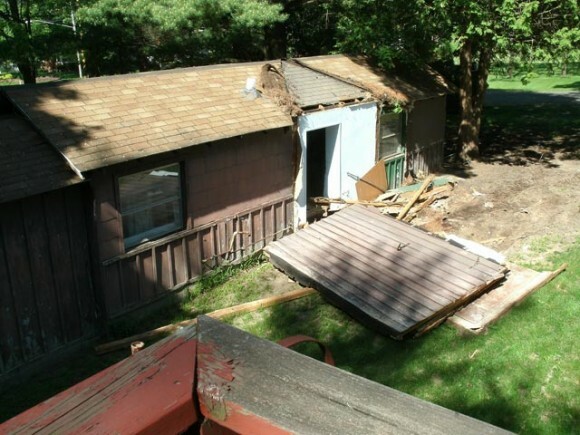 Sharon Krapil says there were long-held rumors a train car was behind the walls of the wooden structure in her back yard. 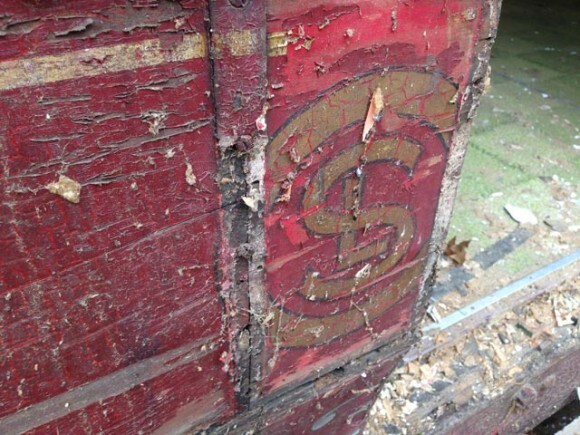 "We certainly hope that this newly discovered Chicago streetcar can be preserved. 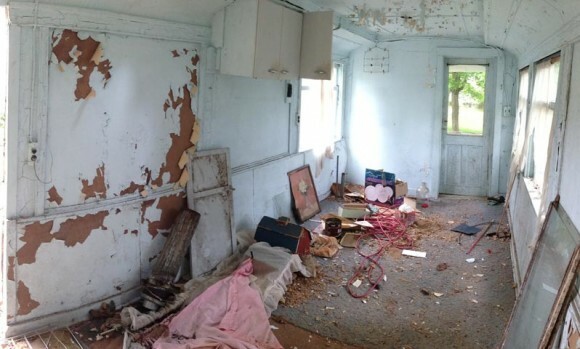 It would be a real shame if it has survived for more than a century, just to be reduced to kindling now" says Bill and Sharon Krapil, the new property owners. 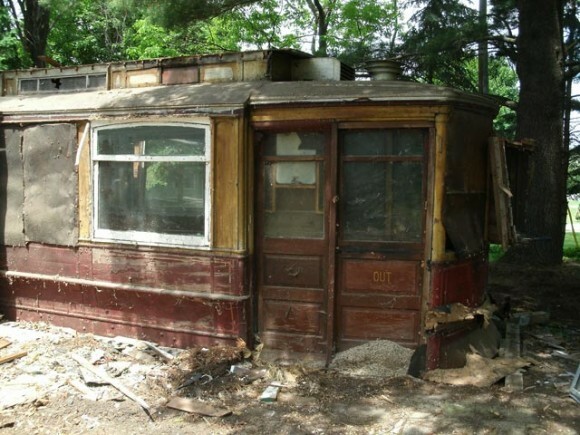 Amanda Husberg and her family, which included siblings Bob and William, lived in the trolley car in Weyauwega from 1946 to 1948. There was a double bed on one side for her parents, a bunk bed for her and her brother Bob and then a crib for her brother William who was born in 1947. There were also a cardboard wardrobe and upright piano in it for Amanda who began taking piano lessons at the age five. 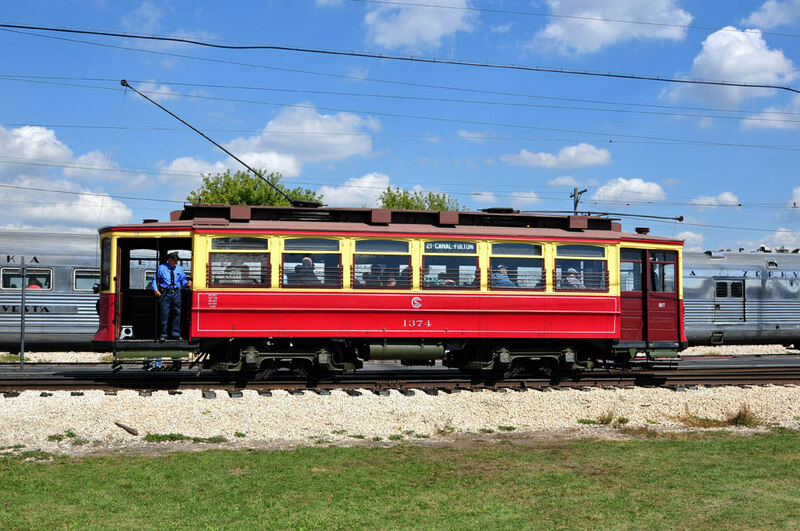 Husberg’s parents sold the trolley car in 1948, when they moved to Chicago. 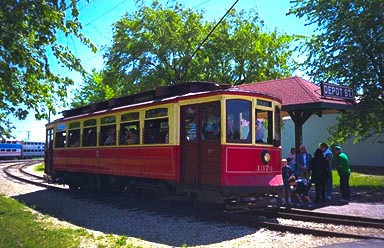 The Illinois Railway Museum in Union, Illinois has two cars that are restored and in operation today. Construction crews began to carefully peel away the exterior of the home, as there were suspicions about what was actually behind them. 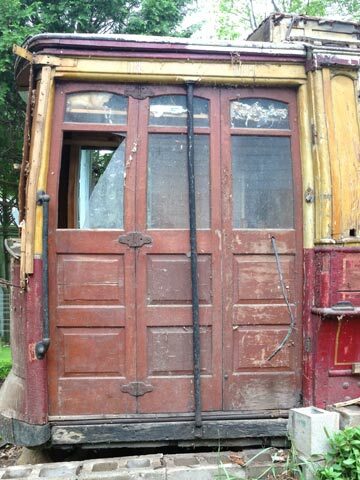 The rear of the trolley car was converted into a kitchen, closet and back porch. Here the three-fold doors are seen on the trolley’s right, rear side. Not much of the original markings are seen on the trolley. Here, stencils rail experts date to the 1930s or 40s, warn riders to not get on or off moving cars. 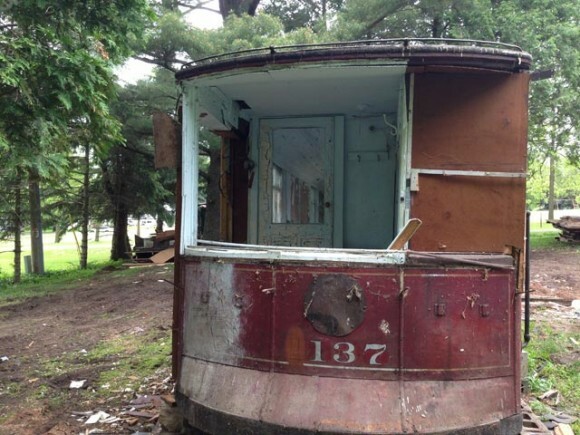 The rear of the trolley car was converted into a kitchen, closet and back porch. Here, the back door can be seen on the left of the photo. 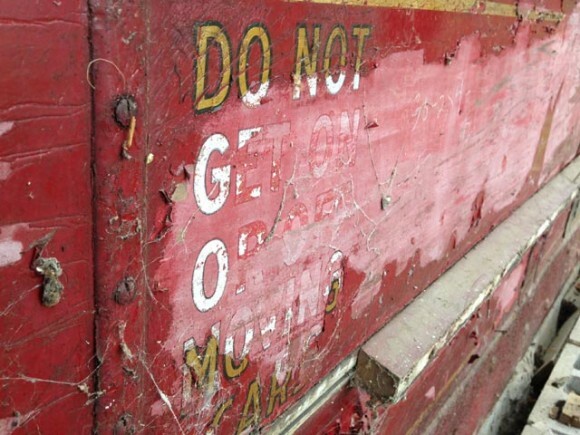 The bright red, wooden car has few markings detailing who made it, or what rail company used it. Here a logo is seen with what appears to be an overlapping S and L, surrounded by an O. It is actually a C, the symbol for the Chicago Surface Lines company. The predecessor to the Chicago Transit Authority, or CTA. Rail experts say the car was made by the St. Louis Car Company between 1905 and 1906 for the CSL. 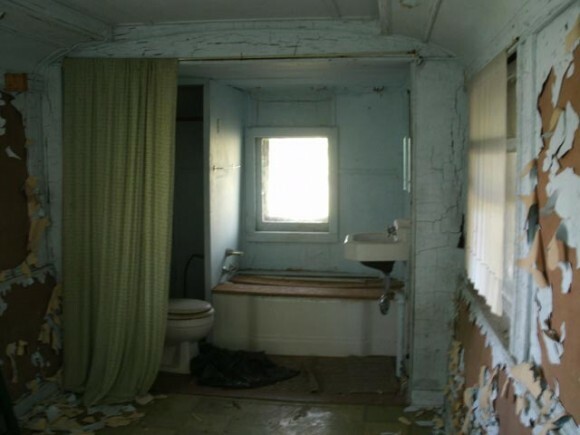 The front of the trolley car is boarded up, as it was turned into a small bathroom, complete with a bathtub and toilet. The original wooden and rattan seats were likely removed when the car was converted into a living space. A view looking through the living area towards the kitchen is pictured. The original wooden and rattan seats were likely removed when the car was converted into a living space. A view looking through the bedroom, towards the bathroom is seen. Longtime Weyauwega residents say the couple who lived in the home had bunk beds to conserve space. The original wooden and rattan seats were likely removed when the car was converted into a living space. A view looking towards the bathroom is seen. 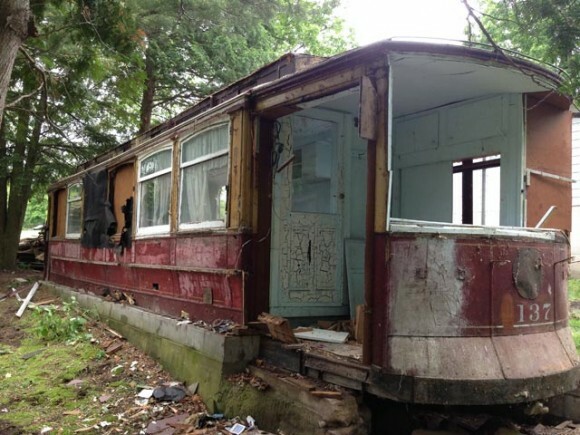 The rear of the trolley car was converted into a kitchen, closet and back porch. Here, the back door can be seen in the center of the photo. 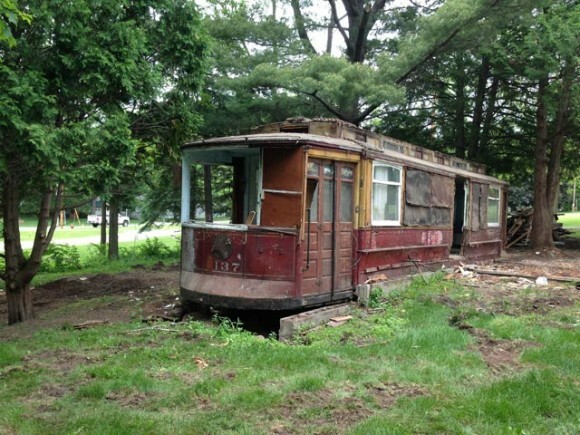 A view of the house is seen, looking at the front of the former trolley. Chicago Surface Lines "Matchbox" streetcar № 1374, built by St. Louis Car in 1906. 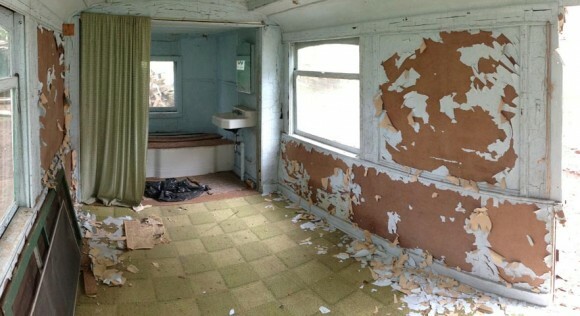 This story reminded me of a man here in Ashland, Oregon, who used to live in an old railroad car. It was so interesting to see that railroad car just sitting there, surrounded by a normal residential area. Ancient and Frontier Fortifications in Illinois. The Night Hanukkah Harry Saved Christmas. Two Million Readers in the First Two Years. Abraham Lincoln came near death from smallpox. "Life of Black Hawk" as dictated by himself. Wolf Point Beginnings in Chicago, Illinois.